Cruising the Boardwalk, hitting the beaches, grabbing a seaside brunch — that’s pretty much everything when it comes to Virginia Beach, right? Yeah, not quite. If you’re not also thinking theater, art museums, and world-class entertainment, you haven’t gotten the whole picture. Most visitors don’t even know the coastal city has a thriving art scene, but we can’t blame them — they just don’t know where to look. Here’s the fix. The Virginia Museum of Contemporary Art, or MOCA, is the art museum in Virginia Beach. Definitely start here. With regularly changing exhibitions from national and local artists — we’re talking paintings, sculptures, glass, ceramics, photography, the whole nine yards — there’s always something new to see and discover, no matter how many times you visit. If it’s a nice day, don’t miss the self-guided walking tour of the grounds. But whenever you visit, make sure to check out the permanent work called Mille Colori, or “One Thousand Colors,” in the Rodriguez Pavilion. 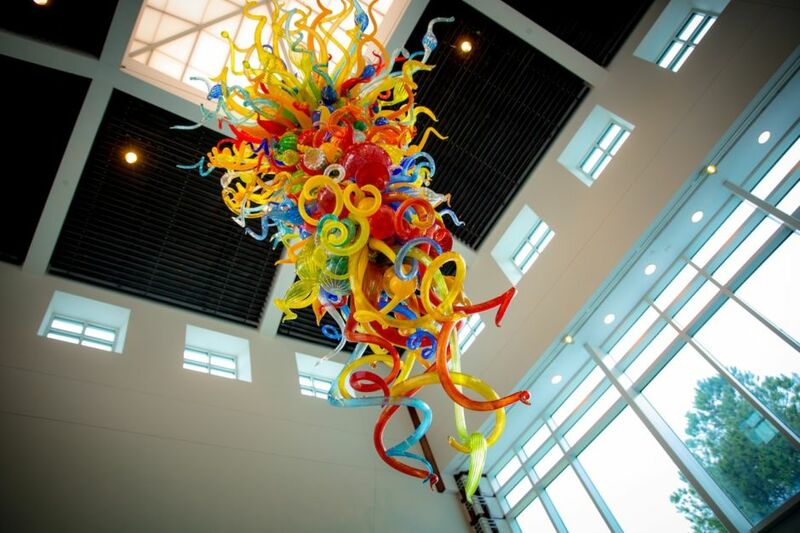 It’s a 14ft Chihuly glass chandelier, composed of 520 hand-blown glass pieces (and you thought those wine-and-paint parties demonstrated artistic commitment…). Just a few blocks from the Oceanfront is the eclectic ViBe Creative District, basically a treasure trove of art galleries, restaurants, and artisan shops aimed to inspire locals and visitors alike. If you’re an artist at heart, make a beeline for right here. You can start your tour with coffee at Three Ships or a bite to eat at Java Surf, then get to wandering the shops. 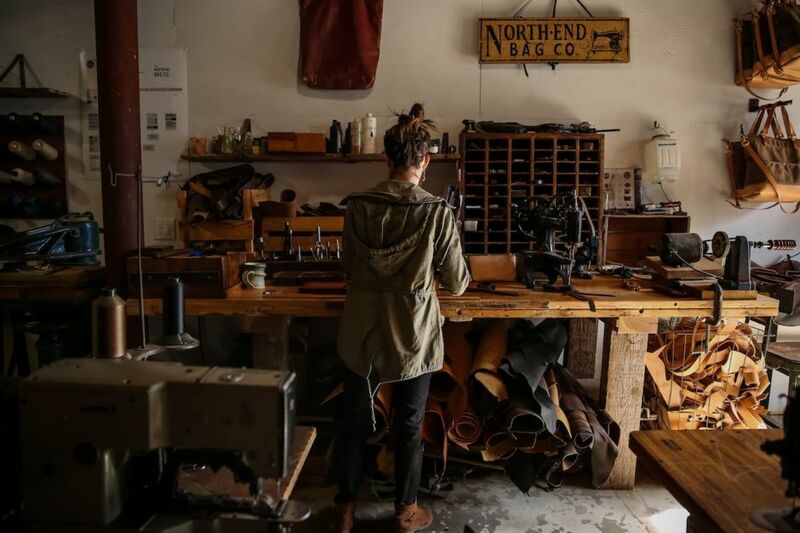 Hunt for anything and everything — artisan leather bags at North End Bag Co., handmade jewelry at Hardy’s, or unique furnishings crafted from local reclaimed wood at Benevolent Design Co. 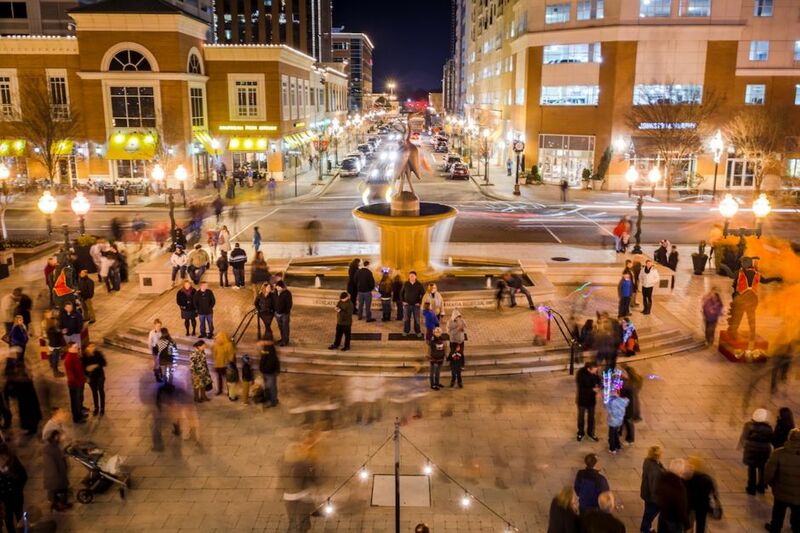 If you’ve timed your visit wisely, you’ll be able to hit up one of ViBe’s First Fridays, when businesses host art pop-ups and events on the first Friday of each month. Pretty much all of the district and beyond is abuzz with pedestrians, shoppers, wine tastings, colorful displays, and the energy only hundreds of artists can create. Pro tip: The ARTS + EATS ViBe Walking Food Tour has all the insider knowledge on local artist hotspots, plus a dip into Va Beach’s foodie scene. There are some incredible murals easily accessible from the Oceanfront…if you know where to look. The first one to keep an eye out for is painted on two buildings between 19th and 20th Streets on Pacific Avenue. It’s titled “Great America Number 1: Our Fallen Heroes” and was created by local artist Sam Welty. The mural was unveiled for Memorial Day, 2017, in remembrance of fallen military and first responders. Other murals honoring the brave (this is a military town, after all) can be found on Pacific Avenue at 5th and 6th Streets, and on 16th Street between Pacific and Atlantic Avenues. 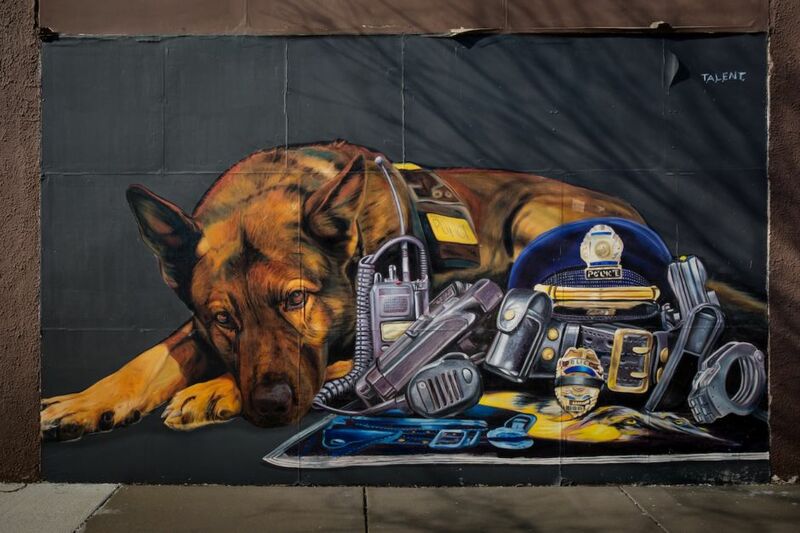 A police dog mural is located on 21st Street and Atlantic Avenue, and you’ll notice some colorful sealife behind Barr’s Pharmacy on 17th Street and Atlantic Avenue. Several murals live on the corner of 22nd Street and Atlantic Avenue, as well — scavenger hunt, anyone? 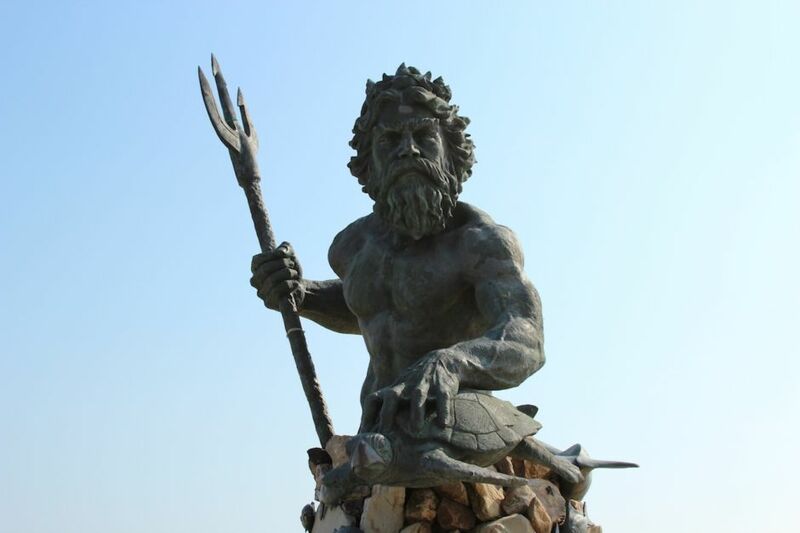 The crown jewel on the Boardwalk is the statue of King Neptune — you can’t miss it. Sculptor Paul DiPasquale created the intimidating 12-ton, 34ft-tall bronze sculpture in 2005, and it’s been standing guard over the sea at 31st Street ever since. You can’t visit Virginia Beach and not take a selfie with the mythical god. 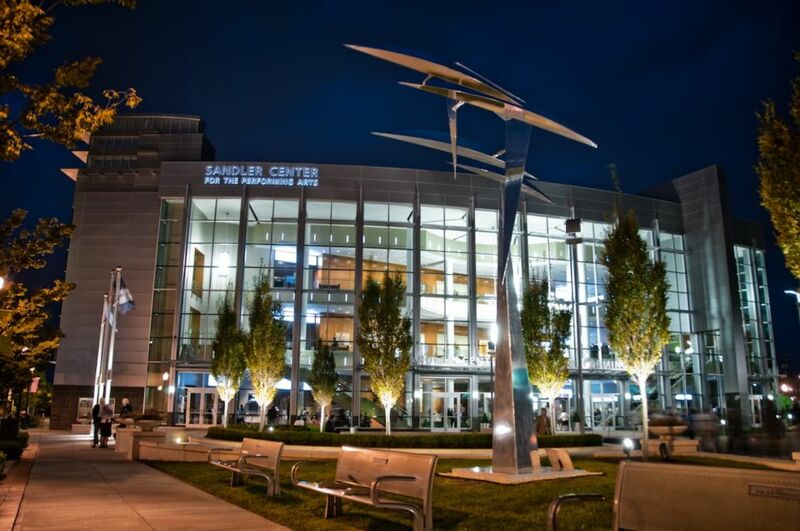 Practically no two nights are the same at the Sandler Center for the Performing Arts in Town Center. The ultra-modern venue books regional and world-renowned entertainers and musicians, musicals, ballets, and the Virginia Symphony on the regular. Big-budget, kid-friendly shows like Disney’s Freaky Friday and Mary Poppins round out the schedule. Pro tip: Arrive early to visit the art gallery on the second and third floors — the exhibits change twice per month and will likely feature an in-state artist. 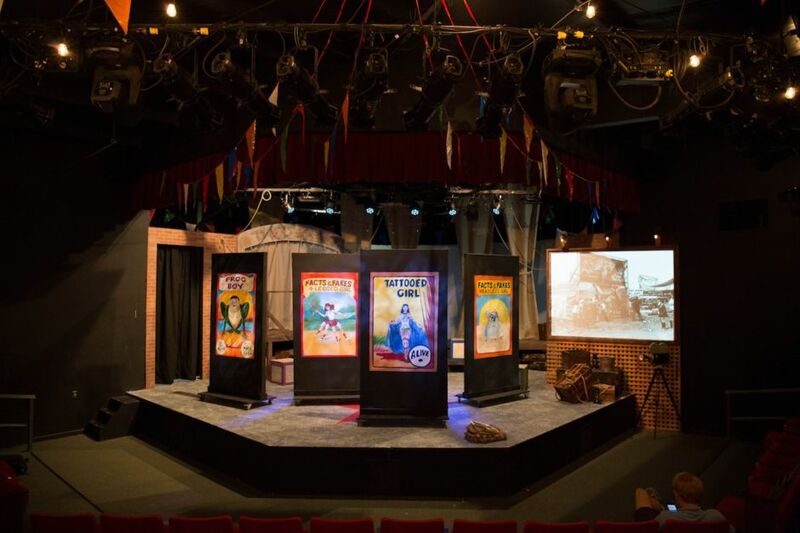 Right next door to the Sandler Center, you’ll find the smaller Zeiders American Dream Theater, a venue dedicated to developing and showcasing the talents of local writers, playwrights, and musicians. Check the schedule to catch Va Beach improv, musicals, and the occasional magic show. Then there’s the Little Theatre of Virginia Beach, located in a residential neighborhood six blocks from the Oceanfront. When you visit, it’ll likely be putting on something in its six-show season. Local performers take center stage, and tickets top out at $20. 7. …and the laughs, too. Town Center’s Funny Bone Comedy Club & Restaurant always has a great weekend lineup — sometimes it’s whoever has the latest Netflix special, sometimes it’s local legends and up-and-comers. There’s a full restaurant menu, though a favorite combination is to head somewhere like Keagan’s Irish Pub & Restaurant for dinner first, then settle in for drinks during the show. Arrive early either way, or you might be waiting in quite the line to be seated. Having said that, once the main seating fills up, they open the balcony upstairs. It’s usually less crowded and has a great view, though it’s a gamble as to whether you’ll be seated in the front rows or towards the back. The adventure is the thrill, right? 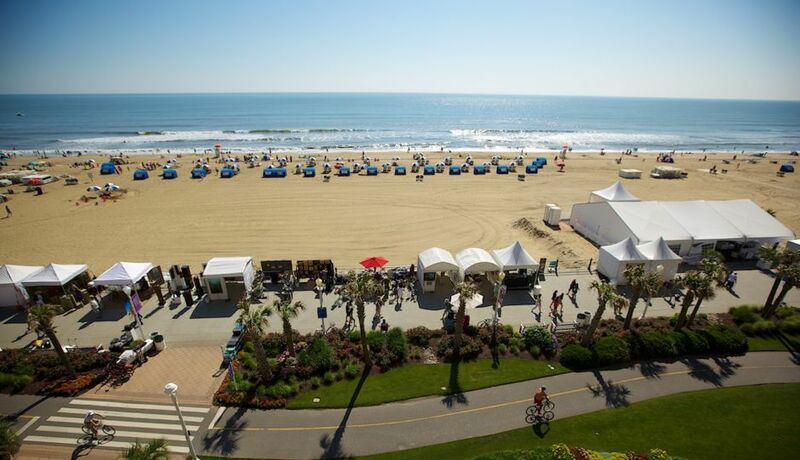 When the weather warms up, the festivities begin on the Virginia Beach Boardwalk. From May to September, concerts, festivals, and special events take over, and those smart enough to be here get their pick of the litter. And, you know, it’s the Boardwalk — the miles and miles of open sand and epic views are icing on the cake. One of the coolest events during the summer is the annual Chalk the Walk ARTsplosion. Artists — and gonna-be artists — use the Boardwalk as their canvas to create masterpieces with nothing but sidewalk chalk. Three entire blocks explode with color in ways that would totally embarrass your stick figures and smiley faces, so watch where you step. Then there’s the Boardwalk Art Show, an event so acclaimed that artists from all over the country vie for a chance to join — the number is limited to around 300. Put on by the pros at MOCA, this is the perfect opportunity to eat, drink, listen to music, and wonder why you’re not creating masterpieces in your free time. The 31st Street Stage is another great spot to hang out in summer, as it’s one of the many venues for the free concert series along the Oceanfront. While you could stake out a spot on the grass or sand, arrive early to snag a table on the patio at Catch 31 Fish House and Bar. You’ll get food and beverage service while enjoying the free entertainment. When you’re ready, take a break from the coast and head to the countryside. 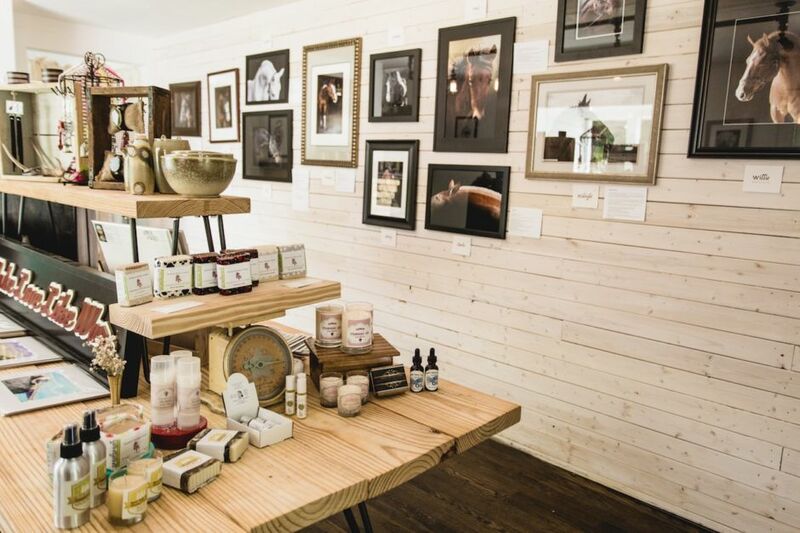 The Tar Roof in Va. Beach’s Pungo farming community features the works and handmade goods of over 30 local artists within the walls of a 160-year-old farmhouse; and as if that weren’t enough, there’s free coffee. This post is proudly produced in partnership with Visit Virginia Beach.